When summertime rolls around, the majority of us turn into little fish! There is something captivating about the water that keeps us coming back for some good ol’ fun. Whether you prefer an ocean, lake, bay, pool etc. as your sanctuary–you’ll surely marvel at these incredible waterfront homes from across the country. The soul of this Beach House is its world renowned sandy beach setting. A fierce commitment to purity in design was embraced in every detail of construction. A private Montecito beachfront estate, this home has a gated beach with cabana and dramatic ocean views. Whitewater panoramic ocean views from every room; perfect for watching sunrises and sunsets. Known affectionately as the Capo Beach Glass House, this Robert Quigley-designed masterpiece sits directly on the sand in Capistrano Bay, featuring a sweeping oceanfront panorama, two-story ceilings, an exquisite glass pavilion and inviting juxtaposition of expansive windows and concrete walls. Pristine, private, and protected, this beautiful Cape Cod beach house is one of the rare homes on the dry sandy beach of the exclusive gated community on Sea Level Drive. Featuring superb unobstructed views from the spacious master bedroom, living room, decks and, of course, the sumptuous sand this beauty sits on. Completely redone bluff top villa with direct stairs to Sea Level beach. This home exudes quality and sophistication. It comes equipped with its own boating dock–incredible! Located on prestigious and 24 hour guard-gated Malibu Cove Colony, this spectacular beach house boasts an impressive 70 feet of oceanfront. Along with direct beach access and tremendous privacy, this meticulous designer home features a soothing palette of neutrals and natural materials. Quality and elegance has set a new standard in this 7,452 square foot Country Club Shores residence on 257 feet of waterfront with stunning sunrises and open Bay and Sarasota city views. This home is fully equipped with 5 bedrooms and 4 bathrooms, much of which has been recently restored and updated to suit today’s island dwellers. This wonderful retreat comes with a large salt water swimming pool and expansive decks to take in the wide tropical vistas. 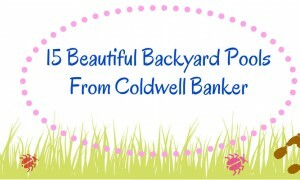 We hope you enjoyed visiting these incredible properties with us. For more phenomenal photos like these please visit our Pinterest page! 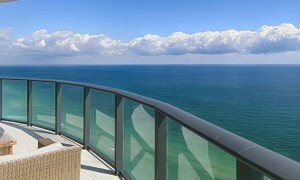 The properties with the most enjoyable views are those that illustrate the open bay, the ocean, or occasionally both.